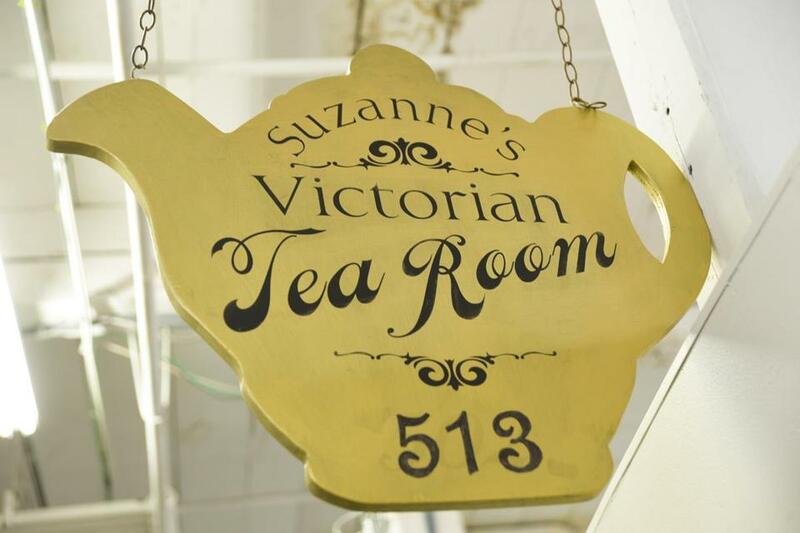 A teapot-shaped sign hangs outside the door of Suzanne&apos;s Victorian Tea Room & Shoppe in Lowell. As the middle child between two brothers, Suzanne Richardson grew up looking forward to the special attention lavished upon her during elegant Sunday afternoon teas with her step-grandmother. Richardson, who so admired Madeleine Lawrence Richardson that she named her daughter Maddie for her, lovingly recalls how grown up she felt in the doting company of the refined, impeccably dressed retired schoolteacher. While the introduction of afternoon tea can be traced to England in 1840, the tradition of enjoying tea, finger sandwiches, scones, and mini desserts has long been popular on this side of the pond. 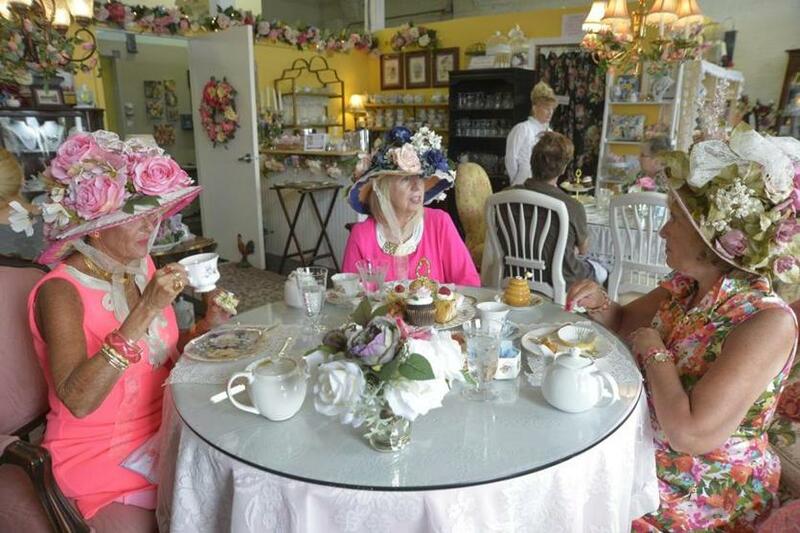 From left, Karen Ware of Lowell, Donna Sullivan of North Andover, and Mary Francis Chisholm of Tyngsborough enjoy an early afternoon respite at Suzanne's Victorian Tea Room & Shoppe in Lowell. For parties of up to 20, Richardson gives talks about various traditions, introduces Victorian games, and provides period gowns stitched by Western Avenue artist Emily Rapley so guests may dress the part of stepping back in time. 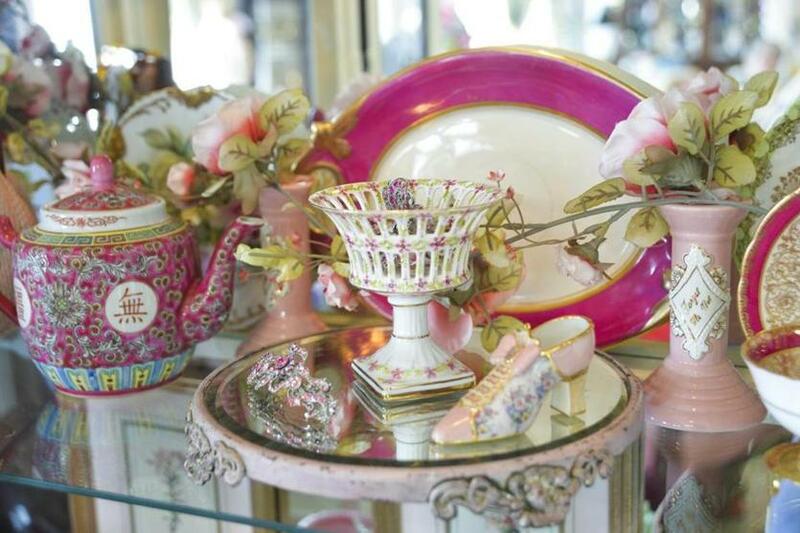 The “vintage niceties” for sale include tea sets and accoutrements, artwork, handmade linens, soaps and lotions, upcycled vintage jewelry, gifts by local artisans, and her signature heart-shaped sugar cubes with organic rose petals. 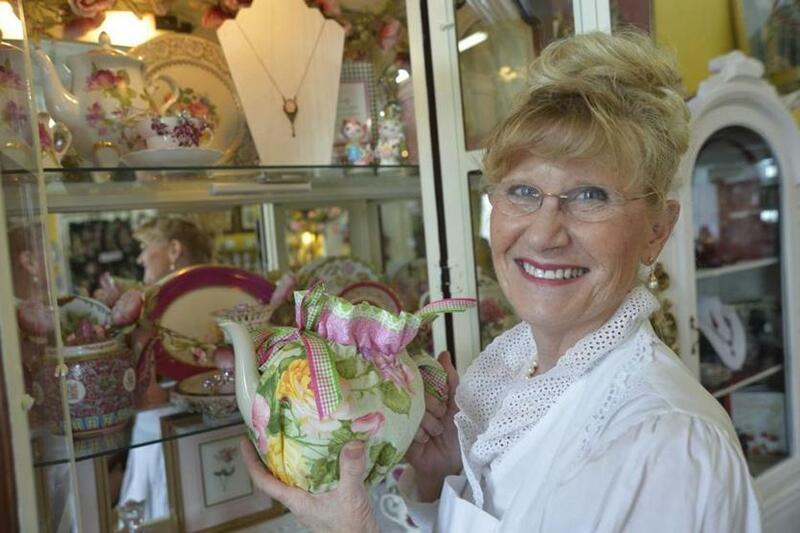 Owner Suzanne Richardson displays a brightly-colored teapot in her Lowell tearoom. 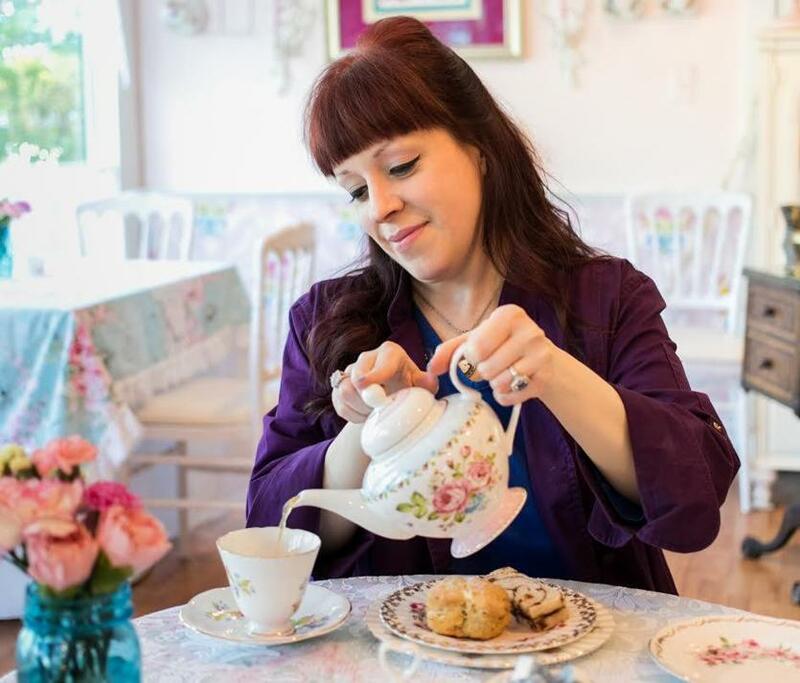 According to Sarah Erlandson, who runs Fancy That in Walpole with husband Brad McCracken, tea rooms offer unique experiences because each is a reflection of its owner. Motivated by the inability to rent a proper tea cup and saucer for her afternoon tea wedding reception, Erlandson launched a vintage rental business in 2003. Eight years later, she opened a tea-themed gift shop in Walpole that evolved into the English-style tea room in 2013. Believing that afternoon tea should be a “treat for all senses,” Erlandson carefully selects the room’s antiques and décor, sets out her best linens and favorite china, and designs a monthly menu complemented by a selection of more than 40 teas. Reservations are available Wednesday through Sunday, as well as Monday holidays. Sarah Erlandson pours a cup of tea at Fancy That in Walpole. Sally Collura, who opened The Tea Leaf in Waltham in 2005, stocks teas and related accoutrements, gifts, and Waltham-branded products online as well as within her 1,000-square-foot storefront. The 24-seat tea room is open Wednesday through Sunday by reservation, as well as for tea tastings and other special events. 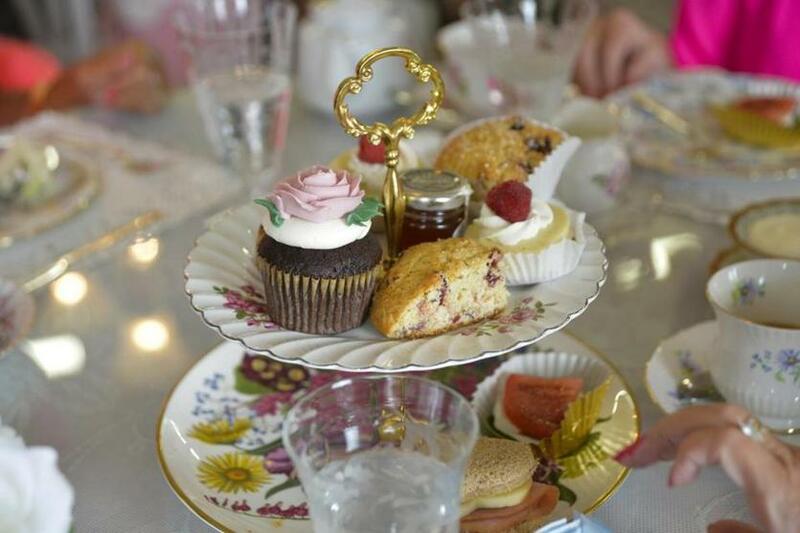 While Fancy That and Suzanne’s Victorian Tea Room & Shoppe cater to guests 12 and older, Tea Leaf welcomes children as young as 8 years old with special menu items. The entire afternoon tea service can be gluten-free, and an a la carte menu of soups, salads, and sandwiches is available Wednesday through Friday. “It’s a rewarding business, but people don’t realize how tough it is,” said Collura, who designed her tea room, regularly attends trade shows for new merchandise, writes a monthly newsletter, maintains her website and Facebook page, and handles all food preparation, serving, and cleanup duties. Sally Collura welcomes children as young as 8 years old to Tea Leaf in Waltham. 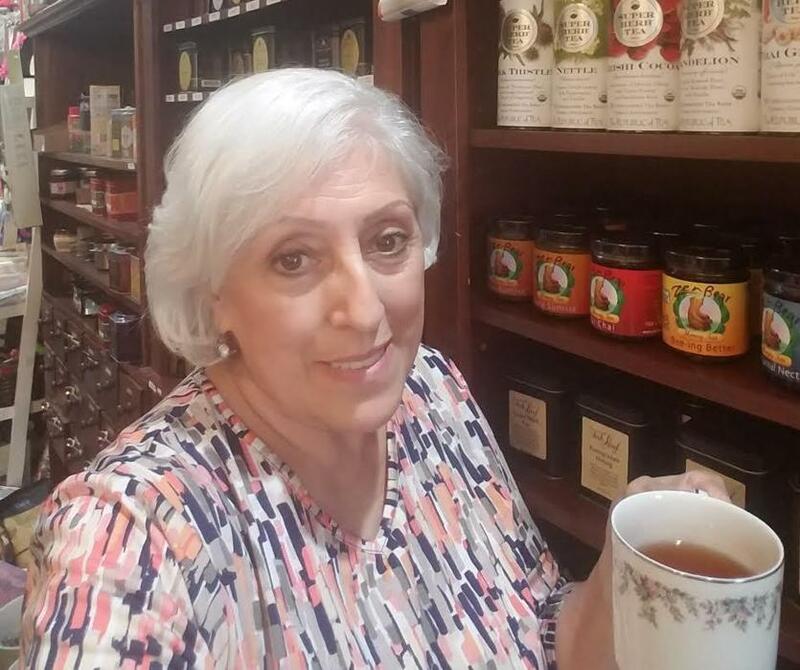 In fact, the former Waltham city councilor and host/producer of “Around Town” on WCAC-TV has been approached so often for advice that she now offers consulting services for those dreaming of opening their own tea room or tea shop. Topics include business plans, location, landlord and lease negotiations, working with attorneys, local regulations and permits, contractors, kitchen plan and store layout, décor and style, vendors, food and supplies, menu design, staff training, tea business and employee policies, competition, advertising, and social media. Tea Leaf serves a bigger purpose, as well. Cupcakes, scones, and tarts are served with tea at Suzanne's Victorian Tea Room & Shoppe in Lowell. Displays of teapots and china surround the room at Suzanne's Victorian Tea Room & Shoppe. 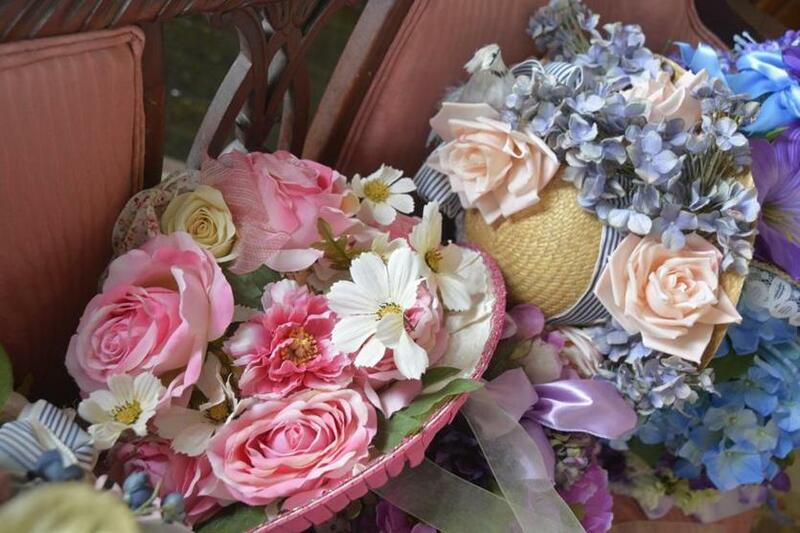 No afternoon tea is complete without a flowered hat. They’re ready to put on at Suzanne's Victorian Tea Room & Shoppe. 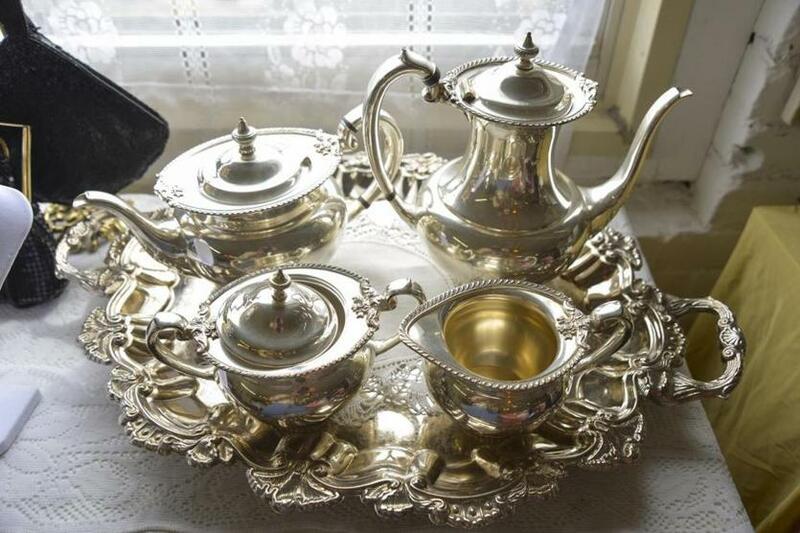 A silver tea set sits in a window by a customer's table at Suzanne’s. Would you like a refill? 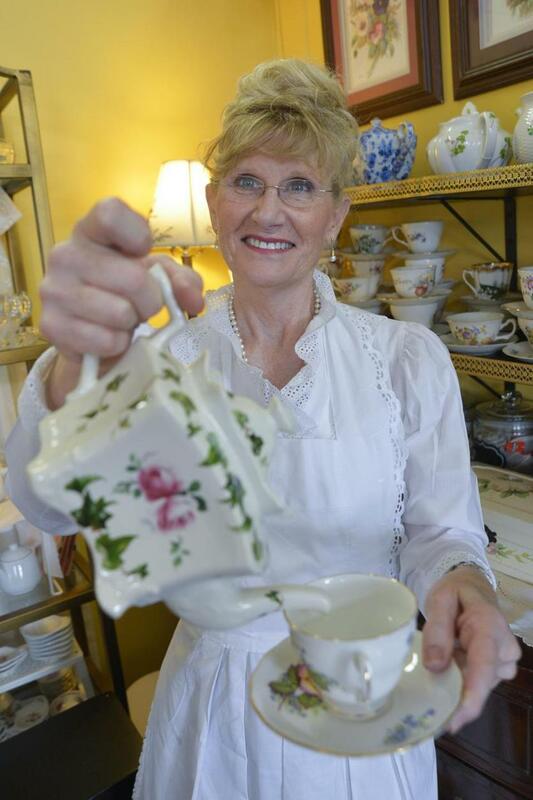 Suzanne Richardson pours steaming water from a teapot in her Lowell tearoom.